Class photo of some of the most (and least) threatening of Batman’s ball-aches. CHEESE! 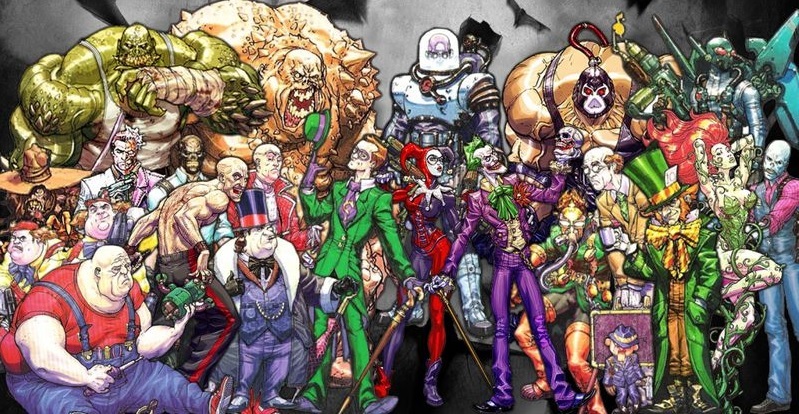 Which Batman Villains Should Appear On The Big Screen Next? You’ve seen some of the best, and some of the worst, so who’s left? Who could rock the remaining rogue’s gallery? If there’s one superhero whose villainous horde of antagonists has had a good showing in Hollywood, it’s Batman. From the classic campy alliance of Catwoman, Penguin, Riddler and Cesar Romero’s mischievous Joker in 1966, through a multitude of iconic roles and actors, like Michelle Phieffer’s latex-clad Catwoman in Tim Burton’s ‘Batman Returns’ (1992) and Heath Ledger’s anarchic portrayal of The Joker in Christopher Nolan’s ‘The Dark Knight’ (2008), some of the film world’s best and brightest have forged career-defining roles from the corridors of Arkham Asylum. Gotham’s underworld is immense and varied however; and many great characters have failed to secure a live-action representation. Let’s look at ten of them - and my picks for who could nail the gig! Looking dapper while plotting atrocities is key. 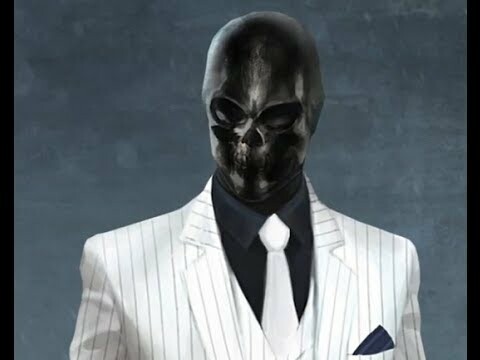 The traditional gangster, who’ll gun down your family as soon as look at you; the Black Mask is no joke, bringing real danger to Batman’s nearest and dearest. Move aside Red Skull, Gotham’s resident skeletal maniac doesn’t need Nazi Stormtroopers or Hydra foot-soldiers. Mask is a one-man war machine. 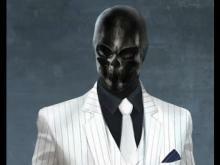 The Black Mask doesn’t demand a CGI budget - just a mask and a sweet tailored suit. He’s been causing mayhem in the source material since 1985 and, as a mainstay of the criminal underground, on par with the Penguin and Two-Face, a mob-war style movie with Bats trying to cover multiple bases is screaming to be made. 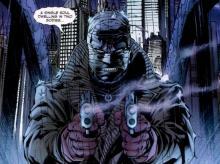 Roman’s disinterested parents were Gotham elites, allowing for backstory that ties in with the Waynes, and once, displaying shades of the Joker; Sionis kidnapped Stephanie ‘The Spoiler’ Brown (a.k.a. the 4th Robin and 4th Batgirl), and tortured her to death. What’s not to love? Known for appearances in ‘Kingsman: The Secret Service’ and ‘Sherlock Holmes’, anyone who’s seen 2008’s ‘RockNRolla’ knows Mark Strong can deliver a ruthless gangster performance, and the man can most definitely wear a suit. 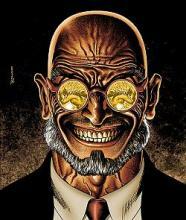 The classic mad scientist, Dr. Hugo Strange may be dismissible in stature, but with the power of ethically ambiguous fringe science, he can bring Gotham to its knees while barely lifting a finger. Predating the first appearance of both Catwoman and Joker, Strange debuted in 1940, and wasn’t seen in live-action until BD Wong arrived in the second season of ‘Gotham’ 75 years later. Known for highly questionable genetic engineering, Strange is a great mouthpiece for a monster he’s created. For the purposes of cinema, Hugo could easily cook up Bane, Clayface, Croc or Grundy, and watch the carnage from the side-lines. Hopkins’ Hannibal Lecter is one of the most iconic performances in film, combining cannibalistic psychopathy with culture and finesse. With his recent run on HBO’s ‘WestWorld’ as the creator and founder of an immersive theme park populated with androids, it’s hard to see a better fit! When you wake up and everything’s dead again #GrrrMondays. 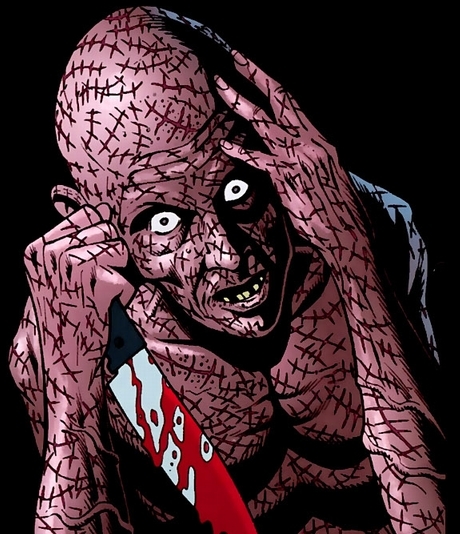 A mentally disconnected slaughterer of hundreds, Victor Zsasz lost inherited wealth through gambling and was never again quite right. Barely describable as a supervillain, this deeply troubled man is a mass murderer with honours. If there ever were a time for Zsasz to take centre-stage it’s now, with the success of FOX/Marvel's ‘Deadpool’, the gateway for R-Rated superhero flicks is opening. A serial killer who carves a tally-mark into his skin every time he frees one of his so-called ‘zombies’ from the drudgery of being alive; Zsasz in all his glory, calls for a capital R. The only technical mistruth in this article, Zsasz did actually have a very brief, non-speaking cameo in ‘Batman Begins’ being sentenced at court, and later pulls a knife on Rachel Dawes amongst the gassy chaos of the prison break, again without saying a word. As the warped and erratic Floki in ‘Vikings’ Skarsgard may not be a huge A-List name quite yet but his physical movements, line delivery, and outright strangeness are prime future Batvillain material. Shave the rest of his Danish mane and he looks the part too. There’s an Arya in every Anarky. A liberal idealist and political activist, Anarky is one of Batman’s youngest foes, but one that can match him in intellect and technological proficiency. Some struggle to see Anarky as a villain at all, though many feel terrorism isn’t justified by political ideology. Anarky was a character ahead of his time, and his time is now. Less of a household image than Alan Moore’s codename V perhaps, but Machin is in the same vein. 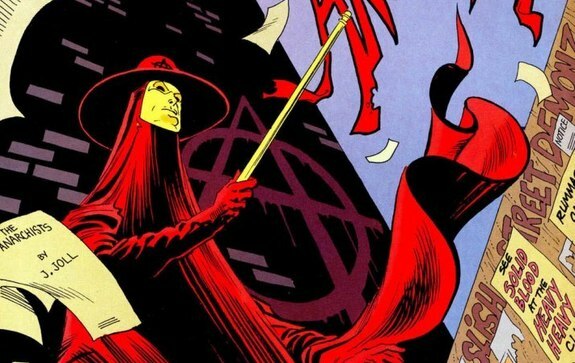 Perfect for a time when the controversial Anonymous and Occupy movements are often in the news, Anarky is essentially an angry teenage hacker with left-wing political agendas. Traditionally Lonnie has always been a boy but race and gender are increasingly irrelevant in the adaption of characters. Traversing two major realms of geekdom in this role, Maisie also looked the part in ‘Cyberbully’ recently, based almost entirely in her bedroom, battling a more proficient troll online. Perhaps perpetual tea-time is unappealing to Hollywood executives. 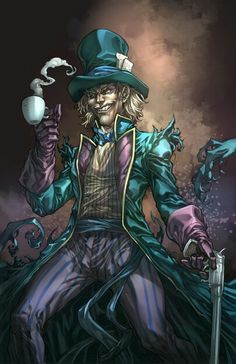 An expert in mind-control with a child-like fixation on Lewis Carroll’s ‘Alice In Wonderland’/’Alice Through the Looking Glass’ tales, you never know who’s remotely serving the will of Jervis Tetch. Hatter’s omission is likely because he’s based on a character that is constantly renewed in films itself. 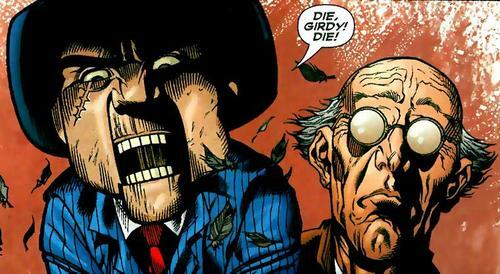 However, Tetch has been gracing the printed page since 1948 and specialising in mind control, can varyingly be depicted as utilizing hypnosis or mechanical devices. His Alice fixation has gone from comedic to borderline paedophilic depending on the writer. Beyond a mainstay in all other Bat-media, Hatter truly seems spurned rather than forgotten. Denis O’Hare has shown amazing range in all things unsettling on ‘American Horror Story’ and hits the right notes from whichever angle filmmakers approach Tetch’s character. With the ability to reform into any shape imaginable, the villainous Clayface is more than a match for Batman physically, but can also trick and mislead by disguising himself as those closest to the Dark Knight. The original Clayface was a horror actor who, after being left out of reprising his role in a sequel, proceeded to kill his former co-actors, dressed up as his former character. With Englund openly disliking the ‘A Nightmare on Elm Street’ reboot, you can’t help but see the parallels with both the real man and Freddy. For the purpose of transforming into the mud-like shapeshifter, we already know Englund can pull off a melty-face look too. A super-powered zombie, reborn from a swamp, Grundy was the Hulk before the Hulk was the Hulk. How can you kill what is already dead? First appearing in 1944, Grundy is a dominating, physical threat to Bruce often overlooked for Bane or Croc. Zombies are riding a pop-culture wave right now though, and in most versions of his origin story, Grundy was killed in the 19th century and disposed of in a swamp, from whence he later raises. In the hands of someone like Guillermo Del Toro I think a Batflick using detective work to trace the beast’s origin back to Old-West times could be fun. Surely a 95% CGI character, Grundy’s dialogue is primarily repeating a single nursery rhyme over and over, but who better to do so than Darth Vader, right? That’ll do Pyg, that’ll do. 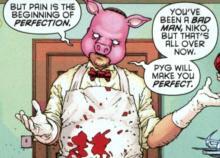 Obsessed with perfection due to the constant highlighting of his own childhood failings by less than sympathetic parents, the twisted butcher Professor Pyg and his army of misfits bring a Manson-family vibe to the less fortunate citizens of Gotham City. Another candidate for an R-Rated Batman trilogy (anyone?) Professor Pyg first landed in 2007, one of the ‘Morrison-era’ villains alongside the likes of the Flamingo. This makes him a more recent consideration, but one that with the right script and casting, could up the blood and gore in the DC Entertainment Universe substantially. 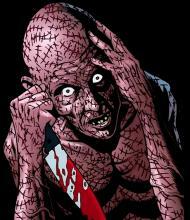 Surrounded by his oddball henchmen ‘The Circus of Strange’, and an army of lobotomized doll-people, Valentin is easily one of the Bat’s most disturbing adversaries. If we ever get a live-action Batman picture with enough free rein to deliver Professor Pyg, I think an ideal match-made-in-hell would be Sid Haig, known for the equally repulsive and sadistic Captain Spaulding, murderous patriarch from Rob Zombie’s ‘House of 1000 Corpses’ and ‘The Devil’s Rejects’. Kathy Bates deserves an honourable mention here after her run as ‘The Butcher’ on ‘American Horror Story’', in another gender-swap I don’t think would do any damage to the source character. Wesker reinvents the use of “say hello to my little friend”. A hereditary gangster with advanced schizophrenia, The Ventriloquist reins chaos through the proxy voice of a wooden puppet modelled on the most notorious mobster in history. On the fringes of Batman obscurity since 1988, Wesker was a mafia child that withdrew from his life psychologically and channelled his anxieties into ventriloquism. If the Michael Corleone mob-upbringing ties aren’t already excuse enough to use arguably the greatest living actor on earth, then the fact that the Ventriloquist is permanently accompanied by his aggressive puppet Scarface should be. Whether Wesker is both a phenomenal ventriloquist and has a terrible case of multiple personality disorder, or whether Scarface is in fact sentient and in control, are down to individual writers and readers to decide. I have absolutely no doubts however, that Pacino would completely own both sides of this quirky villain. Add a bunch of bandages and minus a record label, and Howard’s playing Hush already. 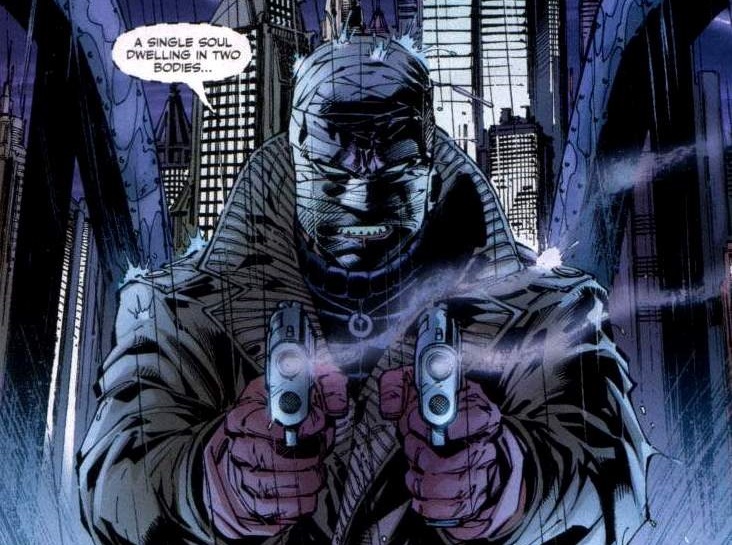 A genius surgeon who can change his own face on a whim, lil’ Bruce’s BFF grew up, and the whole of Gotham, criminal and righteous alike, will tremble before Hush. Relatively new on the scene, since 2003 Hush has made quite the impression. Tommy Elliot was a childhood friend of Bruce’s who grew up to be a plastic surgeon, and on more than one occasion, has turned his own face into that of Bruce’s. The main thing that separated Bruce and Tommy, was that Bruce tragically lost his parents at gunpoint, whereas Tommy hated his, and successfully killed his father. Unfortunately for Tommy, his mother survived, and that pissed him off. Howard’s run as Lucious Lyon on ‘Empire’ has shown him at his cold and calculated finest. Incredibly welcoming and protective when the socialites are around, but a ghetto hustler at heart; forever playing the long game, and never forgetting where he came from. Howard has the skills to play Tommy as a distinguished professional; and Hush, as a callous and bitter killer. Well, that’s my top 10, but the movie industry has still only scratched the surface of Gotham’s criminal underbelly. Hit the comments section if you have your own ideas! Who would you like to see launch a high-budget campaign against the World’s Greatest Detective? Firefly? Killer Moth? Calendar Man?